The ultra slim GET Ultimate Flat Plate range and grid system is all about superior engineering and a sleek, sophisticated style. This beautifully crafted, easy to install range of flat plate switches and sockets adds that special finishing touch to any interior. GET Ultimate Flat Plate is available in various high quality finishes with black or white insert options. 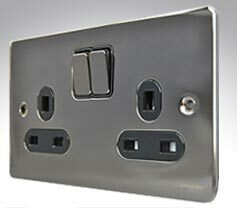 These sleek GET Ultimate Flat Plate fittings have been carefully designed with a subtle curved profile and minimal back projections for ease of installation, and are a high quality, design-led alternative to traditional wiring accessories. 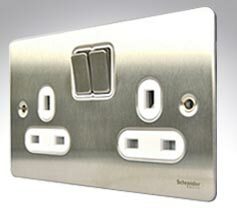 A very stylish, modern, ultra slim flat plate range in stainless steel with white inserts. 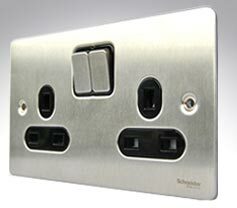 A very stylish, modern, ultra slim flat plate range in stainless steel with black inserts.  A very stylish, modern, ultra slim flat plate range in black nickel with black inserts. A very modern, ultra slim flat plate in eye catching pearl nickel with white inserts.